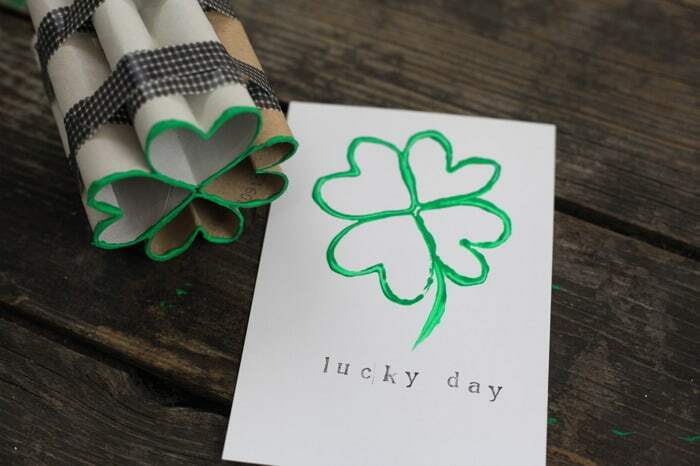 I am certain you all have seen and coveted these St. Patrick's shamrocks on Pinterest. Darling, right? And so easy! You just make hearts out of toilet paper rolls and your precious children stamp them. Nailed it. Totally the same. I normally really like the authors of this craft, Prudent Baby, but this time I think they are lying liars. As you can see calling these "shamrocks" is a bit misleading. However I did just notice that I was supposed to do more folding and taping than I did...as usual too lazy to read the full instructions. I have serious misgivings about if it would have actually changed the final outcome, though. Zach also refused to draw the stems which really was fine by me. And I don't own a mini-stamp set (even I draw the line somewhere) so this was our 2 minute craft for the day. James wanted to stick his fingers in the paint and eat it so it was more of a 30 second craft for that guy. I am saving the paper for next year so we can get it out and laugh at how clever Mommy thought she was. your blog always makes me smile.....so thanks for that!